Some of you may remember the absolutely pointless 'world's thinnest 8MP phone' war that erupted for about seven seconds recently. LG brought out the KC910 Renoir, then Samsung bit back with the super-slim 13.8mm thick M8800 Pixon. But wait, LG wasn't finished. It had the KC780 slider up its sleeve, which was set to be EVEN THINNER. And now it's been officially announced. And it's not thinner, it's 13.9mm thick. Oh. No, wait. Actually let's congratulate LG for not being drawn in to such petty arguments, and celebrate the new handset! Wahey! So, what have we got under the bonnet? It's a slider with a 2.4-inch non-touchscreen display, with an 8MP, Schneider-Kreuznach lensed camera, with image stabilisation, blink, smile and face detection, up to ISO 1600 sensitivity, and SmartLight picture adjustment. The video recorder doesn't fail to impress either, with DVD-like quality simply oozing from the handset after a movie session. Apparently it doesn't do anything else, as LG hasn't written any more specs on the press release, other than letting us know you can transfer pictures to PC easily through something called Smart Bluetooth. 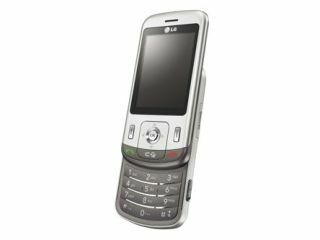 But luckily the Boy Genius Report has reminded us of the FCC filing, which showed this bad boy packing 140MB internal memory, a microSD slot and quad-band GSM/GPRS/EDGE connectivity, though we bet we'll be seeing some 3G HSDPA action on this handset too. And the best bit? It's coming to Europe next month, so there's only 30 sleepless nights or so to go before you can get your hands on it! Woo hoo!